Recently, we quietly re-launched the Joget Marketplace. 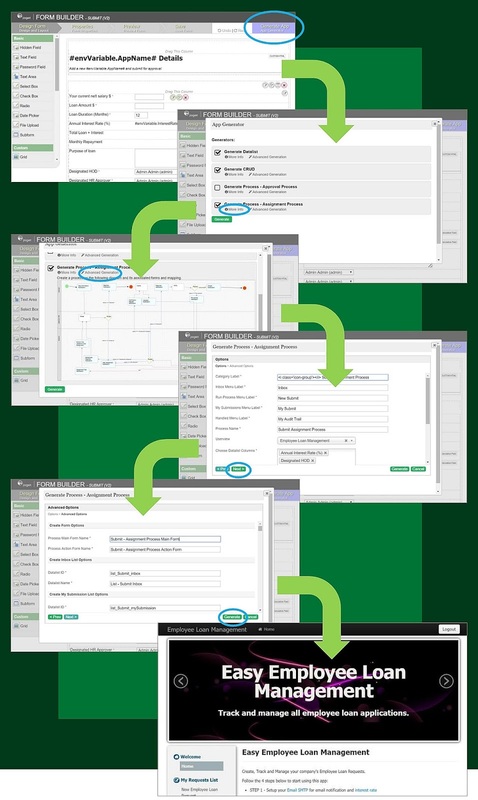 The beta marketplace is designed to work with Joget Workflow version 5 (currently available as RC) to enable users to seamlessly download and install Joget Workflow apps. Log in as an admin user to access the marketplace from the v5 App Center. Click on the "Marketplace" link to load the Marketplace in a pop-up window. Next, create a new marketplace account and log in. To install an app, just browse to the app you want and click on the "Install" button at the top right corner of the pop-up window. 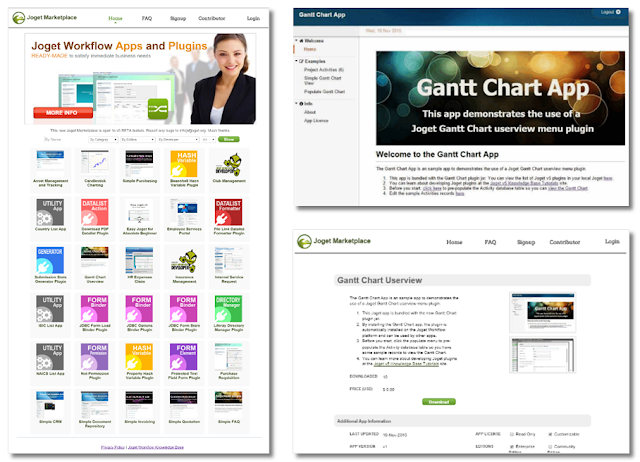 If you are still using Joget Workflow v4, you will need to download the apps from the marketplace and then manually import them into your Joget Workflow server. 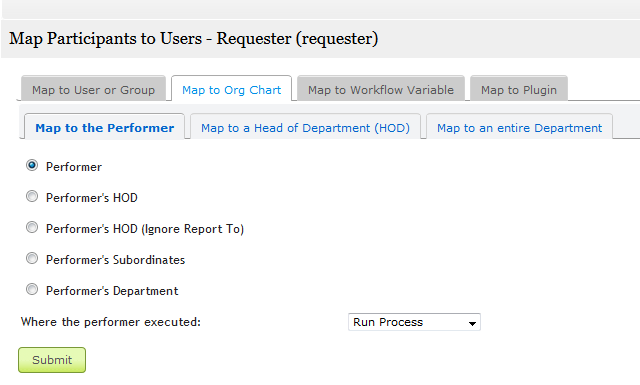 There’s a new beta release (v5.0 Beta 11) for Joget Workflow v5 with a couple of interesting new features. Firstly, the App Center now offers seamless integration with the Joget Marketplace so apps can be installed at the click of a button. This allows administrators to easily browse and import apps, in line with the vision of being a full-fledged Enterprise App Store. As usual, the apps can be used immediately, or customized further to fit any unique requirements. 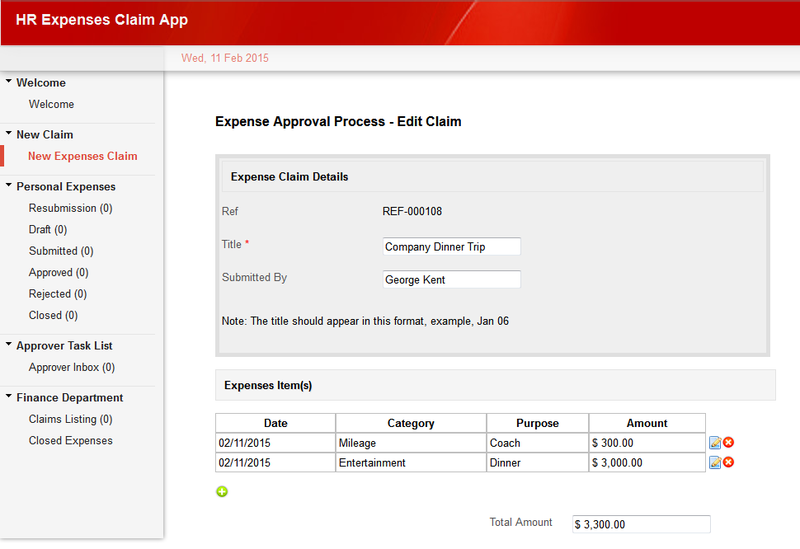 A new signature form element is now available to capture a user's signature. We’ve received many requests from customers, partners and the community for this feature, so this allows users to draw a signature using a mouse or touch screen. 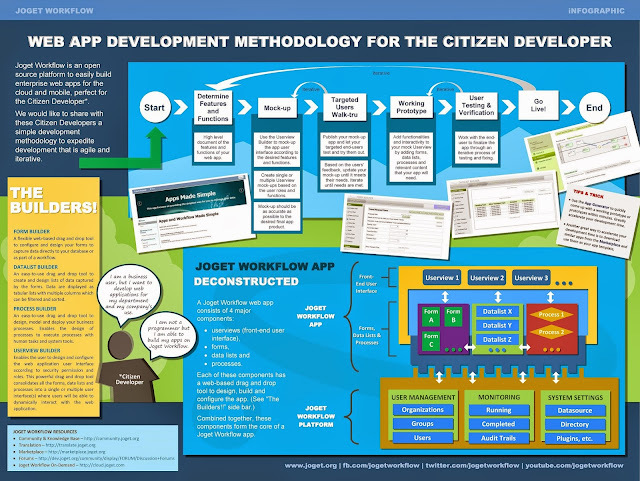 Joget Workflow as a Citizen Developer PlatformDownload the infographic (PDF) via Slideshare. 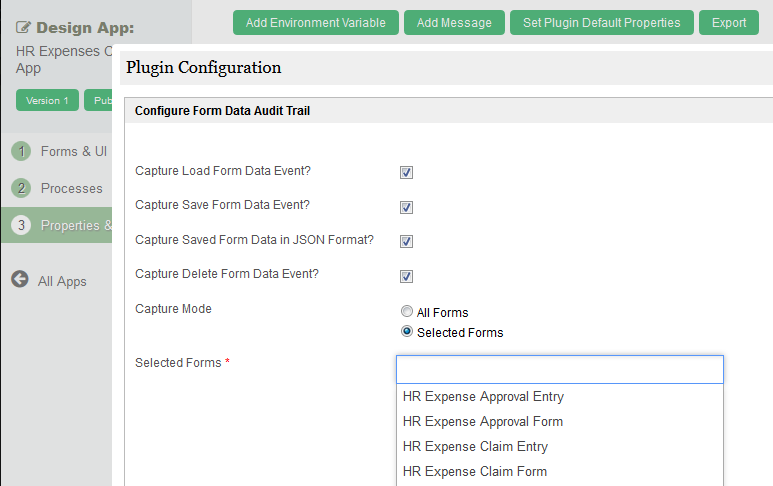 We are still working on our way to make all modules available in the near future. Please bear with us. Here's the complete listing to date. 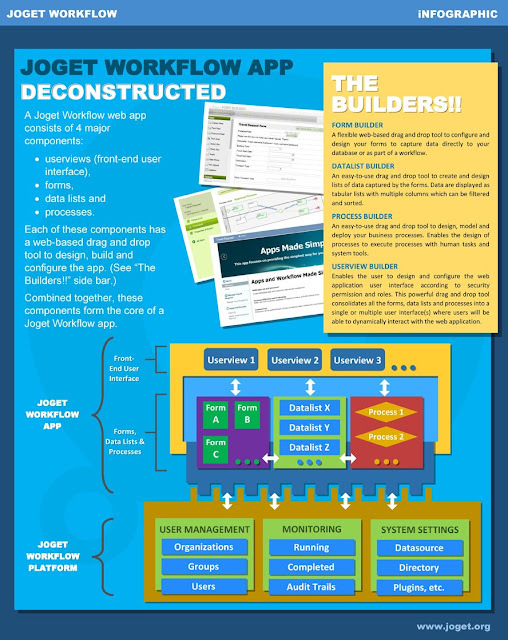 As an open source platform to easily build enterprise web apps, the new Joget Workflow v5 features were described in a previous post What’s Coming in Joget Workflow v5?, and this new post shares some details on upgrades under the hood. Joget is built on Java using the proven and popular enterprise libraries Spring Framework and Hibernate ORM and in v5 they will be upgraded to the latest available stable releases (Spring 4.1.5 and Hibernate 4.3.8) to take advantage of all the performance, stability and security improvements available. Also, performance in the Joget Workflow v5 core platform has been optimized by minimizing hotspots through refactoring and caching, showing vast improvements in some use cases for even higher scalability and larger deployments. The product team is working hard to bring Joget Workflow v5 to the community in a beta release soon, check back here for more updates!